This was part of a funny story which I was telling my daughter yesterday. But she asked why? Sometimes, thieves break into houses to steal things. Then, she asked me not to put in any thieves in the stories. She was scared, and I immediately changed the whole plot, or we’d have been awake all night. But today, I remembered a short video on Facebook which shows a different image of a thief. A kind image. In this video, instead of stealing, the thief helped his victim to return safely to her home. Why? Because everyone has a good side. And next time in my story, I’ll make sure that my daughter understands this point. Watch this video to know how the thief helped the young lady. One day a traveller asked a countryman; what’s the most pleasant thing in life? And to have hopes for tomorrow. That’s a point of view, but of course, we can have ours too. I read this post today on facebook, and remembered a simple lesson I had learned years ago at school; it was a hadith by Prophet Muhammad; when giving a charity, your left hand shouldn’t know what the right had already given. But today not just the left-hand knows about you giving charity but the entire globe. Why is that? Why should people in need be humiliated, and be pictured crying and begging for money? Why those benevolent hands intend to show off rather than be thoughtful and grateful? Some said that this motivates others, reminds others, helps others to take part and help the poor, but I, and I’m sure there are others, have learned the lesson, without a practical demonstration; I mean the teacher didn’t open her purse and invite the most miserable in the class to give her some money. I’m not against giving details or making people aware of others’ suffering, and I believe many people are having good intentions, but I’m just wondering what if those in need object, and refuse to be pictured, would they still receive any charity? Would those benevolent hands turn their cameras off and give charity? Would it be better to be humane rather than popular? Please think before taking pictures. This is mine for the new year, let me know yours. ”Your lot is seeking after you, therefore be at rest from seeking after it.” Imam Ali. An old man was asked; how you enjoyed such good health at your old age. He said; I’ve never argued, and I leave when people start arguing. Peace. That’s the word to describe that old man’s life. Argument is not just to defend your point of view, or to prove what is right; I’ve read it’s also a threat response; maybe our pride, our reputation, our family, our future, our position, and many other things that we ague to protect or conceal or even to gain others’ respect. As a mother, I learned from my children that nothing would change when we kept arguing. The more we argue, the less we would reach compromises, but the less we argue, the more we agree to compromise. My recent argument was on the way home with my daughter; she wants to buy a hairspray to colour her hair like her friends for the charity in need fundraising activity at school. In the beginning, I refused and insisted; and she cried and insisted. I explained that it might be harmful and she explained that it’s suitable for children. I told her there are other ways to have crazy hair and she explained that without colours it would be the dullest idea ever. I remembered the old man and said no more, and in the morning, she suggested to colour her plait and not all of her hair as a compromise. I live away from my relatives. Relatives. That was my inspiration for blogging today. I haven’t planned to live that far from my relatives but that’s how my life becomes. I’m missing family gatherings and talks. I’m missing more the feeling of their support. Every year, we go to see the elderly who are still there and those who were once little but are no longer now. But also every year I appreciate how living far was a real privilege. What do you think about the wise man’s answers? They said; ‘the moment you think to give up is the perfect timing for winning.’ Is this true? Sometimes we think that’s it, I have been trying more than enough and there would be no way to succeed or win this or get that. But at the same time, things become different and a silver lining is shown up not just to give us hope but to help us see those other routes, to think of those other possibilities and to perceive the hidden wisdom behind all of these changes and stages in our life. 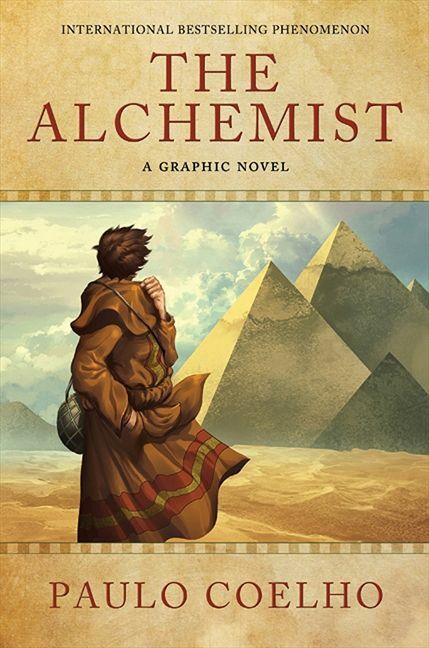 When writing this blog I remembered Alchemist by Paulo Coelho. Have you heard about it? Did you read it? It’s really good. If you did, you would agree that the moment Santiago believed he had lost everything and he should give up, was the moment when he won; when his dream came true. I believe if we write our own stories, we would definitely find lots of those perfect timing moments. PS, I bribed my son to read it. He did but he liked it so much. We all, actually not all, I mean those who studied literature or know about Shakespeare’s Hamlet would definitely remember the famous line ‘to be or not to be that is the question.’ Everyone has a story, a special story that s/he tries to live and be something throughout its lines, its days, its months and its years. We all try to be something. Ambition is multidimensional; power, wealth, success, knowledge, health, fame, family, etc are different directions to be something. I believe that every person has dreams and aspirations; whether they are great or humble, but we all have our own ‘to be’ plans. One day, when I was coming back with my daughter from her friend’s birthday party, the taxi driver stopped at my house and looked at me; ‘to be,’ she said. 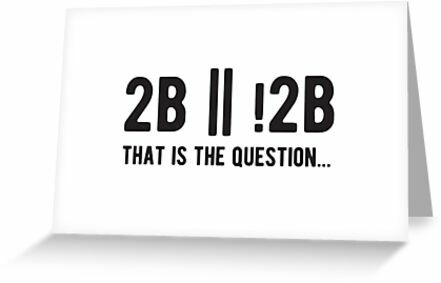 I thought she was asking to make sure of the address, I said; ‘Yes, it is 2b.’ She then repeated seriously as if she was acting the scene; ‘To be or not to be that is the question.’ I looked at the number on my door and said; ‘Nice one’ and the two of us couldn’t stop laughing. Isn’t it funny, as I didn’t notice that for about six months or more since we’ve moved, but the taxi driver did? Has your address got any significance? Once upon a time, there were three friends; they were poor, very poor, unnoticed and worthless. What they owned in their life was three donkeys and their job was to transport people, goods and luggage from one place to another. This was how they earned their living. One night, after a long day of hard work under the sun of the Arabian summer. They threw their bodies over the smooth sand of the desert. The full moon and the shiny stars lit the dark doom; it was no longer dark and a beautiful sparkly night was all they can see. One of the three men closed his eyes and said: ‘Imagine my friends that I become the ruler of this country; the sovereign majesty, make a wish? His friends laughed and laughed. The dreamer looked at the other friend and said: what about you? His friend got-up, collected his stuff, rode his donkey and said: ‘Let your guards carry me backwards on a donkey and let them announce to everybody that I’m a fool who didn’t believe that dreams can be true. ‘As you wish, my friend,’ said the dreamer. In the morning the dreamer deserted his friends. He sold his donkey and looked for a different way to earn his living; a watchman, a constable, an officer, a member of the town authority, an advisor, a consultant,… finally, he married the deceased ruler’s wife and became the guardian of her eight years son. He ruled the whole country until the former ruler’s son was 16 years old. Thirty years had passed since his friends laughed at him dreaming of ruling the country. At his prosperous days, he remembered his friends and ordered his guards to bring them. His old friends were still donkey cart plodders but their friend, the crowned head, reminded them of their wishes. The first was mad with happiness; he was granted a house with a magnificent garden. The second regretted that wish ever since. Ps, this is an old story in the Arabic history with real names and incidents but what I can remember is just the main plot; therefore, I have made some adaptations. Dream high. Dreams can be true.